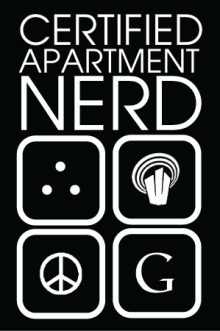 Welcome to Tidbits from The Apartment Nerd. While some visitors may have followed me at Tidbits from The Marketing Nerd, this blog is geared strictly toward Apartment Property Management. My goal is to focus on the Apartment and Multi-family Housing Industry providing interviews with industry leaders, those on the front lines getting it done everyday, and general tidbits from me for the industry. I hope you enjoy my approach from an owner/operator perspective, and gain value from the information shared here. Thanks so much, and enjoy your day. Awesome stuff - I look forward to it.